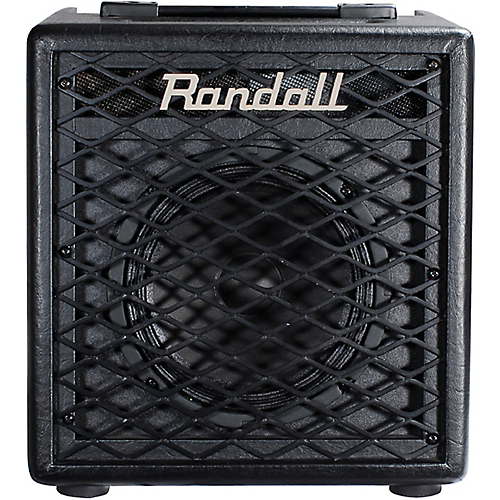 Randall Diavlo is the badge for Randall’s 1W and 5W tube amps – both heads and combos. Randall Diavlo and all the company’s small tube amps have a history which starts with that of its founder Don Randall. Leo Fender and Don set out in 1946 to develop, market and distribute Fender guitars and amps. In 1953 Don became president of Fender. Fender Sales grew in the 1950s and 60s. It was Don Randall who gave Fender Esquire, Telecaster, Broadcaster, Stratocaster, Precision Bass, Twin Reverb, Bassman their names. In 1970, Don set up Randall Amplifiers. The company was initially know for its FET transistor circuits. But its vaccuum tube valve amps that they’re known for today. These micro tube amps are favorites with all kinds of bands. You can read more about the Diavlo range of amps here. The one watt tube amps are the RD1H head and the RD1C combo amp. Single Channel all tube 1 watt (12AX7/12AU7) 1×8 Combo with Gain, Tone, Master Volume, 3 way ToneStackShift for midrange contour with Class A Discrete instrument level FX loop and Speaker emulated XLR direct output with with Dummy load for Silent operation and ground lift. The five watt tube amps are the RD5H head and the RD5C combo amp. Single Channel all tube 1 watt (12AX7/12AU7) 1×8 Combo with Gain, Tone, Master Volume, 3 way ToneStackShift for midrange contour with Class A Discrete instrument level FX loop and Speaker emulated XLR direct output with with Dummy load for Silent operation and ground lift. These four amps are built to last with sound levels which exceed their rated wattage.